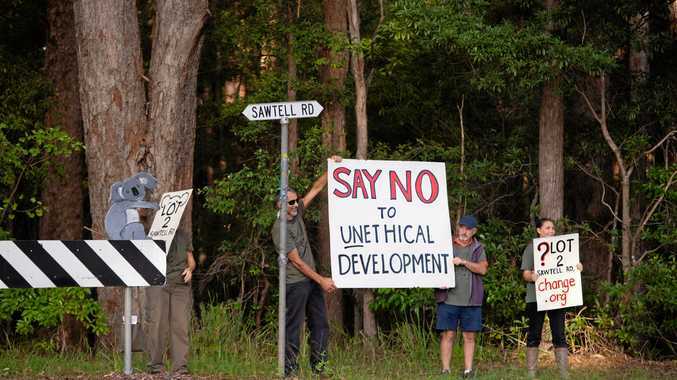 THERE'S nothing remarkable about the small outer Brisbane suburb of Banyo. It's home to about 6000 residents and popular with businesses looking for a close connection to the Brisbane Airport and the Gateway Motorway. The Catholic University has a campus here and a number of housing estates are popping up. But down a little side street in this non-descript slice of suburbia, is the home of one of Australia's hottest sporting teams - Craig Lowndes' Triple Eight Race Engineering. With two Red Bull emblazoned prime movers parked outside, there's no doubt you've arrived at the two-storey headquarters of the V8 Supercars powerhouse. A sign near the front door directs you up a couple of flights of stairs past a massive double-sided glass wall jam-packed with hundreds of silver trophies. The office, which houses 45 staff including engineers, mechanics and a chef, is light and welcoming. The latest in computing technology sits on their desks and photos of Lowndes and Red Bull teammate Jamie Whincup overlook them as they work. The unmistakable aroma of new tires slams deep into your lungs as you walk through a small door at the rear of the main office. 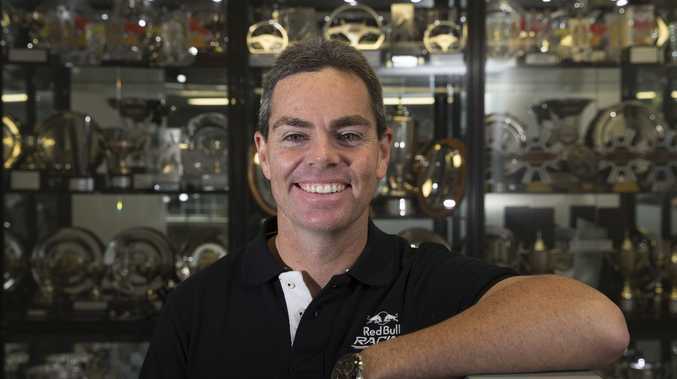 Craig Lowndes offers a sneak peek into his Red Bull HQ: The V8 Supercar champion’s two-storey office is home to millions of dollars worth of cars and parts as well as hundreds of trophies. At the base of a narrow set of stairs is a large brightly-lit extremely clean garage housing five cars. The two Holdens sitting on trollies and covered in sponsors' signage are what we're here to see. They might be missing their tires and engines, but there's no doubt these $500,000 V8s are the real deal. Three days before they were hitting 300km an hour on the Townsville street circuit. Today they are getting some tender loving care while the mechanics replace worn parts and prepare them for their next outing. Countless surfboards collected by Lowndes and Whincup for each podium finish they've achieved during the Gold Coast leg of the national titles line the walls surrounding the cars. After some serious umming and ahhhing over the V8s, we step into a nearby room to check out some of the hundreds of spare parts needed to keep the V8s on track. On the other side of the garage is what Lowndes calls the "dirty" room. This is where most of the mechanics take place. There's some serious hi-tech engineering technology here but the steel skeleton of a race car attracts the most attention. In a month or so this mesh of pipes and weld marks will be a fully-fledged race car ready to hit the track and bring home some more silver for that trophy cabinet.